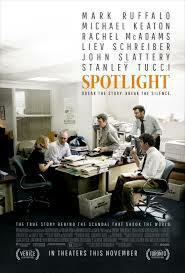 Beyond just being an Oscars winner for Best Picture, the film Spotlight provides a much needed platform to open up the discussion about sexual abuse within not only Catholic communities, but faith communities of every denomination. The FaithTrust Institute has gone so far as to create a multi-faith discussion guide for the film. They have included text studies for Muslim, Christian, and Jewish communities to reflect on individual and communal responsibility. Links are shared below.